This week, read about the new branding for Minnedosa Tourism, an NACI student who has been awarded a prestigious scholarship, a local curling team who's taken the provincial title and much, much more! Don't forget to pick up a hard copy of the Banner & Press so you don't miss out on some great deals in the flyers! 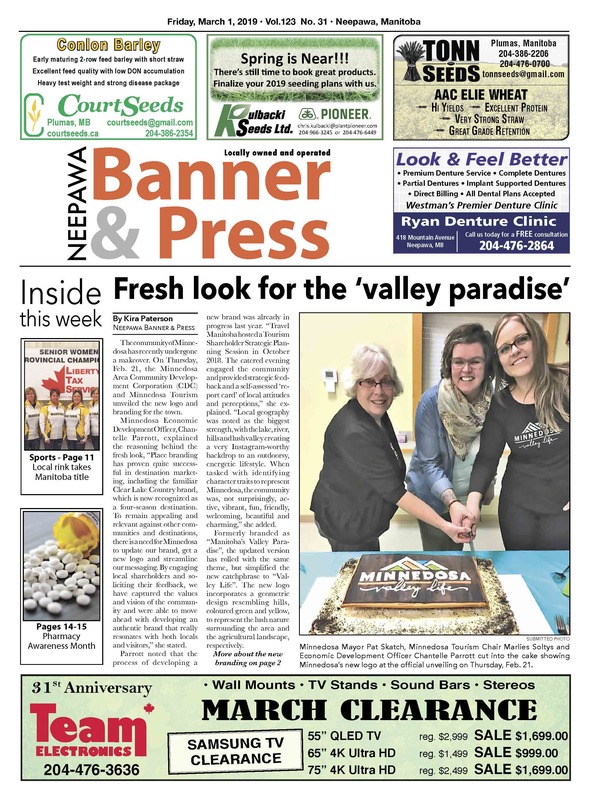 In this week's, you can find Home Hardware, Giant Tiger, Rona, Princess Auto, the Brick, McMunn & Yates and NAPA, depending on where you pick up your paper. 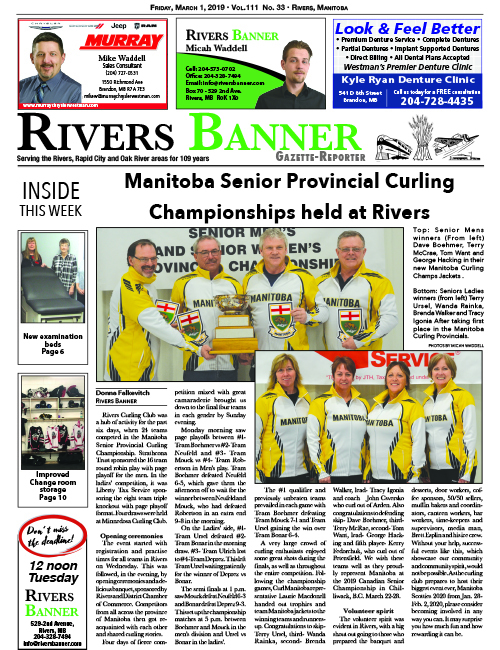 This week, read about the winners of the Senior Mens and Ladies Provincials and see the upgrades made to the changerooms at RCC! Don't forget to pick up a hard copy to see the flyer from Princess Auto this week! This week, see some of the highlights from the Louis Riel long weekend, read about how the local and regional hockey teams have been doing lately, find out about the next fundraiser Rotary has planned and how you can help out and much more! Don't forget to pick up a hard copy of the Banner & Press so you don't miss out on some great deals in the flyers! 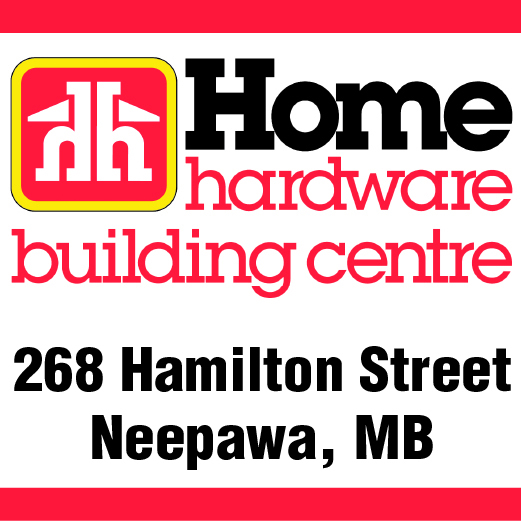 In this week's, you can find Home Hardware, Giant Tiger, Rona and the Brick, depending on where you pick up your paper. 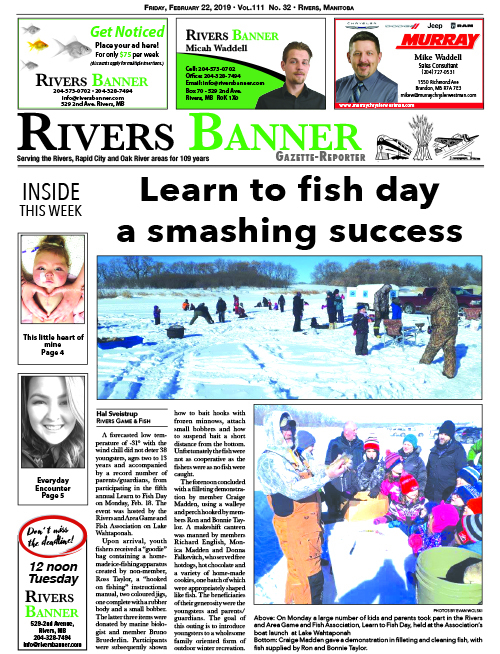 This week, read about the Learn to Fish Day held by the Rivers and Area Game and Fish Association and see the award winners from the Little Saskatchewan River Conservation District! 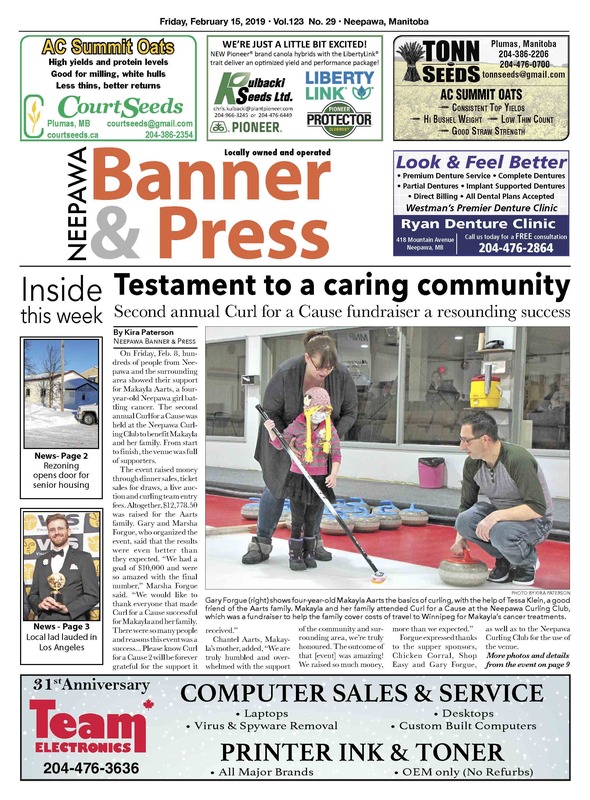 This week, see the results of the Curl for a Cause fundraiser, read about the plans for the former Salvation Army, find out about the Neepawa-born animator winning awards in show business and much more! Don't forget to pick up a hard copy of the Banner & Press so you don't miss out on some great deals in the flyers! 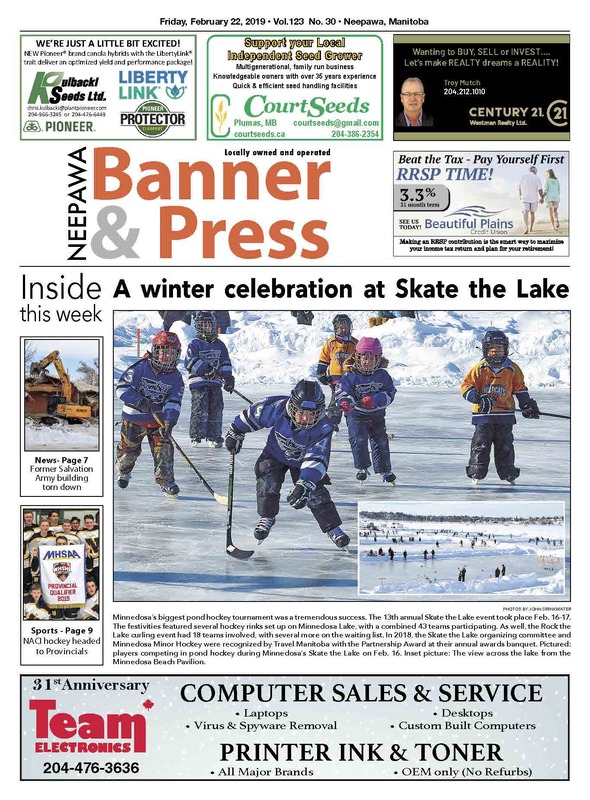 In this week's, you can find Home Hardware, Giant Tiger, Rona, Peavey Mart, Princess Auto, the Brick and Brookside Angus, depending on where you pick up your paper.